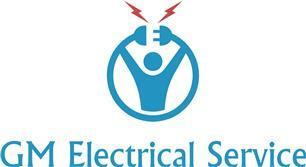 GM Electrical Service - Electrician based in Guildford, Surrey. We are a small independent electrical company, based in Guildford and have been in business since 2015, having worked in the building trade for many years. We cover a 30-mile radius but we pride ourselves on our punctuality, if we say we will attend, then we always do. We are certified by ELECSA, which means our work is set to a very high standard and adheres to the current IEC wiring regulations. City & Guilds qualified including Level 3, 18th edition. We carry out all domestic electrical work and specialise in external lighting and power systems. Our team is passionate about providing high standards of workmanship and customer satisfaction and we pride ourselves on being reliable, professional, punctual, honest and tidy, showing you and your property the utmost respect. NO call out fees, no job is too small... please don't hesitate to contact us.